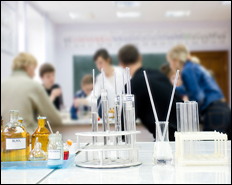 United Enviro Systems, Inc., has been providing superior services to schools, from elementary through university levels, since 1982. Our expertise in handling the small quantity, yet potentially dangerous wastes produced by your laboratories as well as the wastes generation by the day to day maintenance of your facility enable UES to provide one stop shopping for your chemical disposal needs. We are easy to contact. Call our office and you will always talk to a real person who will quickly and expertly answer your questions . Consolidation of Compatible Waste Materials Spent Solvents, Auto analyzer Wastes, Bulk Powders, Etc. Lab pack services Spent Solvents, Auto analyzer Wastes, Bulk Powders, Etc. Identifying Unknowns Testing of compounds for DOT and EPA charactieristic to enable proper transport and disposal. 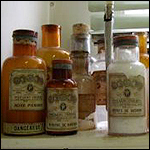 Reactive Handling and Disposal Picric Acids, Ethers and others form explosive peroxides with age or improper storage. We can safely handle and deactivate the hazards to make your school safe. Mercury Device Recycling Thermometers, Sphygmomanometers, Thermostats, etc. 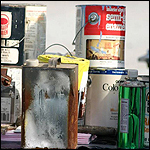 Maintenance Materials Unused or spent chemicals must be disposed of according to Government Regulations some expamples: Oils, Paints, Aerosols, Boiler Treatment Chemicals, etc.